As we look back on 2013, it has certainly been a year of increasing scrutiny and criticism of capital markets trading participants. One particular area of focus is so-called “High Frequency Trading” (HFT), the practice of automated trading algorithms rapidly taking market positions. HFT is seen by many as a major cause of market crashes and volatility. Most notably, many believe the automated withdrawal of liquidity by HFT algorithms accelerated the 2010 flash crash, where the Dow-Jones Industrial Average dropped nearly 1000 points and then recovered most of the losses in only 30 minutes. As Reuters recently reported, in Europe there is a lot of pressure from the European parliament to put measures in place to curb HFT. A proposed package of measures, including common tick sizes, synchronized exchange clocks to more easily spot abuse and more rigorous algorithm testing, are planned as part of the second Markets in Financial Instruments Directive (MiFID II). Crucially omitted was a much-debated point about minimum holding time for instruments, proposed at 500 milliseconds. Many high frequency algorithms might hold positions for a shorter time! However, this compromise might get the legislation through more easily. In addition, MiFID II will also limit the amount of liquidity traded on dark pools — off-market venues, where transactions are not transparent. Not everyone shares Congressman Markey’s view. I was involved with a UK government-sponsored expert group called Foresight, which released its findings on “The Future of Computer Trading in Financial Markets” in November 2012. And Foresight’s findings were quite different! Foresight does not feel that HFT increases market volatility and raised some practical approaches to making markets safer for everyone, including circuit breakers and a consolidated tape. Foresight favored working with HFT to address perceived dangers is the committee’s preferred approach over banning HFT outright. So where does the truth lie? Is HFT bad? Before we can answer that, we need to define what exactly is meant by HFT. A huge proportion of the market is certainly electronic trading and gone are the days of open outcry trading. However, much of that is more traditional large orders, for example on behalf of a pension fund, which may use algorithms to break them down into more manageable chunks and sequence these chunks in the market. Then there may be other totally automated algorithms trading for a proprietary trading firms that might hold their positions for hours or days. The Chairman of the CFTC technology advisory committee (on which I serve) Commissioner Scott O’Malia has been trying to get a good definition of HFT. He’s now got one, which is essentially “fully automated super speedy, short holding time”. However, there are many benefits to automated trading and arguably HFT is normal trading but quicker. If any market participant, high frequency or otherwise, attempts to move the price of an instrument (a.k.a. price ramping) by dominating the market (a.k.a. abusive squeeze), it is market manipulation. If said participant takes the position with the sole intention of immediately reversing it (flipping) for profit, or indeed to engineer volatility, it is market manipulation. These are well understood dangers of any style of trading and apply equally to HFT. 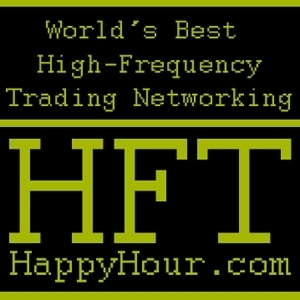 To suggest banning HFT is to not understand that it’s the behavior that is wrong not the speed at which is takes place. The question is — do we have the ability to police trading at that speed? This entry was posted in Equity Markets, Fixed Income, High Frequency Trading, high-frequency journalism, Insider Trading and tagged 2010 Flash Crash, algorithmic trading, Dow Jones Industrial Average, HFT, high-frequency trading, Knight Capital Group, Markets in Financial Instruments Directive, United States. Bookmark the permalink.